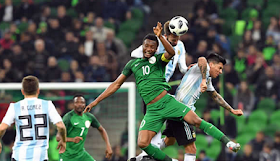 Nigeria's Super Eagles are out of the World Cup as they lost to Argentina this afternoon. The match ended 2-1 in favor of Argentina. Well, what do we say, welcome home guys!